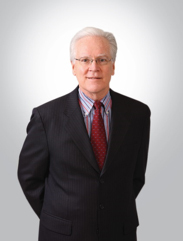 Timothy Patrick McNally, aged 71, joined the Company in February 2005 as chairman of the Board. He also serves as chairman of the AML Oversight Committee of the Company. From April 1999 until October 2005, Mr. McNally was the executive director of Security and Corporate Legal Services for the Hong Kong Jockey Club. He was a member of the Executive Board of Management responsible for corporate governance issues. Mr. McNally is currently an international security consultant and is the chairman of B2G Global Strategies headquartered in California. Mr. McNally was a Special Agent of the Federal Bureau of Investigation ("FBI") for almost 25 years. His career focused on the investigation and prosecution of serious crimes including organized crime, drug trafficking, public corruption and fraud matters. During his career with the FBI, Mr. McNally was assigned for two years as a legislative counsel by the FBI to handle issues arising with the US Congress. Mr. McNally held several senior positions within the FBI and was the head of the FBI's Los Angeles Office at the time of his departure. During the period 1993 through 1999, he was cited on numerous occasions for exceptional leadership and meritorious per formance by the director of the FBI, Attorney General, and President of the United States. Mr. McNally is a member of the Asian Society of Southern California, the National Executive Institute and the Society of Former Special Agents of the FBI. He is a graduate of the University of Wisconsin-Eau Claire, receiving a Bachelor's degree in Political Science in 1969. He received a Juris Doctorate (JD) degree from Marquette University Law School in 1973 and was admitted to the State Bar of Wisconsin. 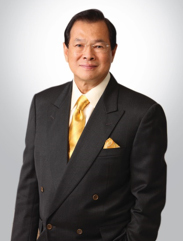 Tan Sri Dr Chen Lip Keong ("Dr Chen"), aged 71, is an executive director, the founder, controlling shareholder, Chief Executive Officer, and a member of the Remuneration Committee, the Nomination Committee and the AML Oversight Committee of the Company. Dr Chen is also a director of several wholly-owned subsidiaries of the Company, and a director of LIPKCO Group Limited (formerly known as Fourth Star Finance Corp.) which is a substantial shareholder of the Company. Mr. Chen Yiy Fon, an executive director of the Company, is a son of Dr Chen. Dr Chen has many years of entrepreneurial, business and managerial experiences and in Malaysia, is currently the controlling shareholder of Karambunai Corp Bhd ("KCB") and FACB Industries Incorporated Berhad ("FACBI") and Petaling Tin Berhad ("PTB"). Except for PTB which has been privatized and the listing of its shares on the Bursa Malaysia Securities Berhad has been withdrawn with effect from 16 August 2018, both of KCB and FACBI are currently listed on the Bursa Malaysia Securities Berhad. Philip Lee Wai Tuck, aged 56, is a qualified Certified Public Accountant. Mr. Lee has experience in various industries before joining the Group in 2009. He has previously worked in or held directorships in various companies listed on the Bursa Malaysia Securities Berhad. Mr. Lee took on senior management positions in financial and management functions with wide experience in accounting, finance, treasury and corporate finance. He was the Chief Financial Officer of the Company and is presently an Executive Deputy Chairman of the Company and a director of various wholly-owned subsidiaries of the Company. Mr. Lee is a member of the Malaysian Institute of Certified Public Accountants, Malaysian Institute of Accountants and CPA Australia. Chen Yiy Fon, aged 37, was appointed as an executive director of the Company on 1 June 2015. He is also a member of the AML Oversight Committee of the Company. Mr. Chen graduated with a Bachelor of Arts Degree in Economics from the University of Southern California, Los Angeles in 2003. In 2003, he interned at Morgan Stanley, Los Angeles, California and in 2004 he interned at Credit Suisse First Boston, Singapore. Mr. Chen was a non-executive director of the Company from May 2009 to February 2011 and is currently a director of several wholly-owned subsidiaries of the Company, and a director of LIPKCO Group Limited (formerly known as Fourth Star Finance Corp.) which is a substantial shareholder of the Company. Mr. Chen is also the chief executive officer and executive director of KCB and PTB. He also serves as an executive director of FACBI. All these three companies are controlled by Tan Sri Dr Chen Lip Keong, an executive director and controlling shareholder of the Company. Except for PTB which has been privatized and the listing of its shares on the Bursa Malaysia Securities Berhad has been withdrawn with effect from 16 August 2018, both of KCB and FACBI are currently listed on the Bursa Malaysia Securities Berhad. He is a son of Tan Sri Dr Chen Lip Keong, the Chief Executive Officer, founder and the controlling shareholder of the Company. Tan Sri Datuk Seri Panglima Abdul Kadir Bin Haji Sheikh Fadzir, aged 79, has been an independent non-executive director of the Company since 17 September 2007. He is also the chairman of the Remuneration Committee and the Nomination Committee of the Company, and a member of the Audit Committee of the Company. Tan Sri Kadir is a Barrister-At-Law of Lincoln's Inn, London. He was a practicing lawyer at Hisham, Sobri & Kadir and Kadir, Khoo & Aminah and a prominent politician in Malaysia and has served the Federal Government of Malaysia for more than 30 years. His involvement in the Malaysia Federal Government service began in 1970 where he held the position of Political Secretary, Parliamentary Secretary, Deputy Minister and Minister in various ministries. He was holding the position of Minister of Information prior to his resignation from the Cabinet in 2006. Prior to that, he was the Minister of Culture, Arts and Tourism from 1999 to 2004 where he was also the chairman of Malaysia Tourism Promotion Board. Lim Mun Kee, aged 52, has been an independent non-executive director of the Company since 17 September 2007. Mr. Lim is the chairman of the Audit Committee, and a member of the Remuneration Committee and the Nomination Committee of the Company. Mr. Lim is a Chartered Accountant registered with the Malaysian Institute of Accountants and also a member of the Malaysian Institute of Certified Public Accountants since year 1997. Mr. Lim started his career with KPMG Peat Marwick, Malaysia in 1989. He has more than 20 years of valuable experiences gained through his working career in various fields including auditing, financial, corporate and management level. Currently, Mr. Lim is also managing his own business in Malaysia. Mr. Lim is also an independent non-executive director of FACBI and KCB, both of which are listed on the Bursa Malaysia Securities Berhad. He was an independent non-executive director of PTB until 18 September 2018, a company which has been privatized and the listing of its shares on the Bursa Malaysia Securities Berhad has been withdrawn with effect from 16 August 2018. All of FACBI, KCB and PTB are controlled by Tan Sri Dr Chen Lip Keong, an executive director and a controlling shareholder of the Company. Michael Lai Kai Jin, aged 49, was a non-executive director of the Company from 31 May 2010 to 5 April 2011 and was redesignated as independent non-executive director of the Company on 6 April 2011. He is also a member of the Audit Committee, the Remuneration Committee, the Nomination Committee and the AML Oversight Committee of the Company. Mr. Lai graduated from the National University of Singapore with a L.L.B (Hons) Degree in 1994 and was called to the Singapore Bar the following year. He was formerly a partner of Messrs. KhattarWong, one of the largest law firms in Singapore with offices in Singapore, Shanghai, Hanoi and Ho Chi Minh. Mr. Lai's practice focused on marine and admiralty law and has handled numerous legal disputes in the area of international trade and transport. Mr. Lai was formerly the chairman of the Advisory Body Legal Matters, FIATA and the Legal Counsel for the Singapore Logistics Association. Mr. Lai was formerly the Group General Counsel for Ezra Holdings Limited, an integrated offshore support provider for the oil and gas industry which executes a full spectrum of life of field engineering, construction, marine and production services throughout the world. He was also an independent director of Interlink Petroleum Ltd until 3 January 2018, the securities of which are listed on the Mumbai Stock Exchange. Leong Choong Wah, aged 50, was appointed as an independent non-executive director of the Company on 10 September 2018. He has more than 29 years of working experience in a wide range of industries such as property development, plantation and manufacturing, including cross border working experience in Indonesia and China encompassing operations, accounting, financial management and corporate finance and planning in both public listed and private companies. Mr. Leong has been overseeing the Finance and Corporate Services Division of HCK Capital Group Berhad ("HCK", a company listed on the Main Board of the Bursa Malaysia Securities Berhad) since May 2015 and has been appointed as an executive director of HCK since October 2015. Prior to joining HCK, Mr. Leong was the senior business controller of Agrindo, an Indonesian palm oil plantation group based in Jakarta, Indonesia from February 2013 to December 2014. Mr. Leong started his career with Price Waterhouse in 1989. Mr. Leong's other notable past working experience include acting as the chief operating officer and finance director of Malaysian Pacific Corporation Berhad in 2011, chief executive officer of PTB from 2008 to 2010, chief financial officer of FACBI from 2000 to 2008 and holding senior positions in several other companies listed on the Bursa Malaysia Securities Berhad. Mr. Leong is currently a member of the Malaysian Institute of Accountants, Malaysian Institute of Certified Public Accountants and CPA Australia, respectively.